The fish have been a little late this year after projections for a good year. This has been concerning as it should be, and has lead to an understandably dampened May 1st report. 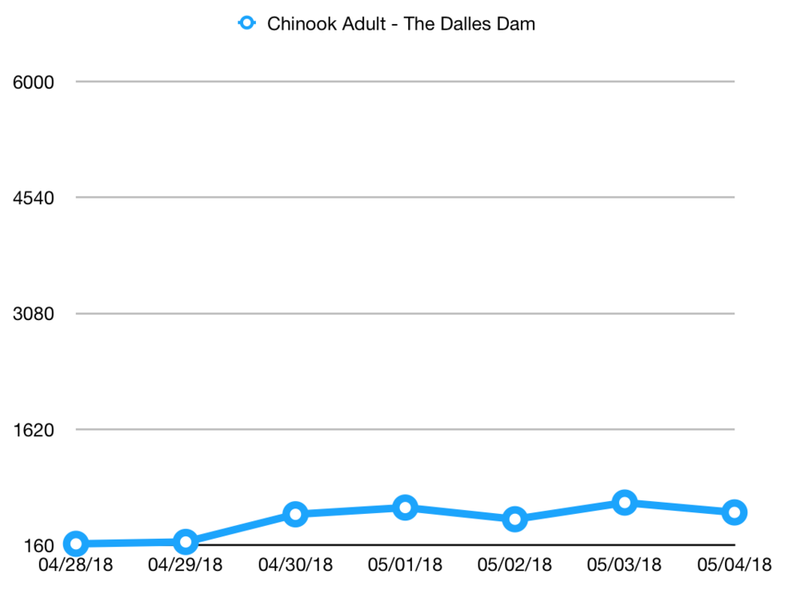 But shortly after, we've seen the Chinook start to spike at Bonneville, around 5,000. There's still a little ways away, but the fish are coming! We'll be keeping a daily eye on changes and will start estimates on what the return will look like in Riggins when it's appropriate.